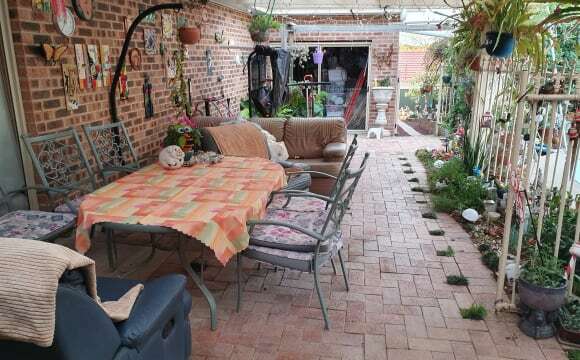 The yard is fairly large so if you like gardening there's plenty of space. There's a rumpus/garage to hang out in if you like to tinker with bikes or motors. House has heating and air conditioning. At the end of a quiet place with little traffic. New room mates will be sharing the main bathroom which has a bath tub. Bills included: water, gas, electricity and internet. Quiet (except for birds- magpies caroling, lorikeets tweetching etc). Surrounded by bush. 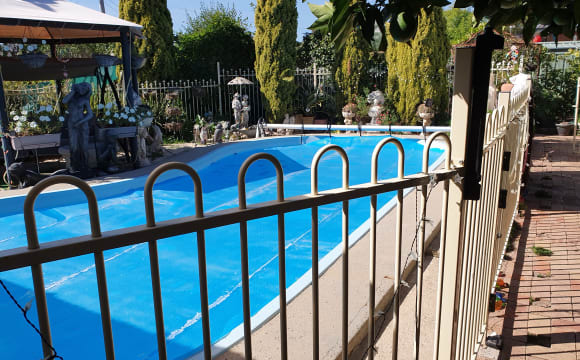 Close to Chisholm shops - supermarkets (ALDI, Coles), butcher, cafe, chemist, newsagent, medical, dental, servo, fast food (the FAMOUSLY DELICIOUS Chisholm Take-Away, Subway, Zucchini Bros), an Anytime Fitness Studio, Chisholm Vikings Club, Chisholm Tavern. 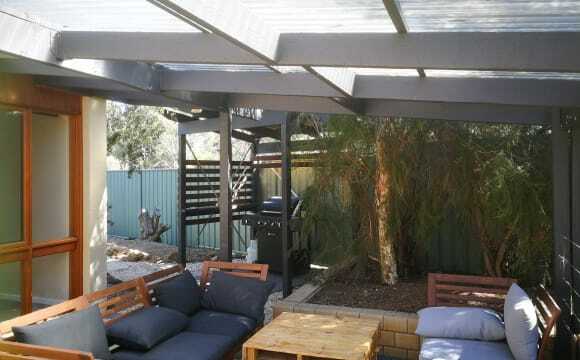 Big back yard with native shrubbery and shady trees. Good bus connections to Tuggeranong and Civic. By car- it's about 10 mins to Tuggeranong, 15 mins to Fyshwick, 20 mins to Canberra airport and 25 mins to ANU/CSIRO/Civic. There is currently one north-facing bedroom available with generous built-in wardrobes. The house has three bedrooms altogether. I've got a spare bed and mattress (high quality spring) currently stored in the garage but if you prefer you can bring your own bed. 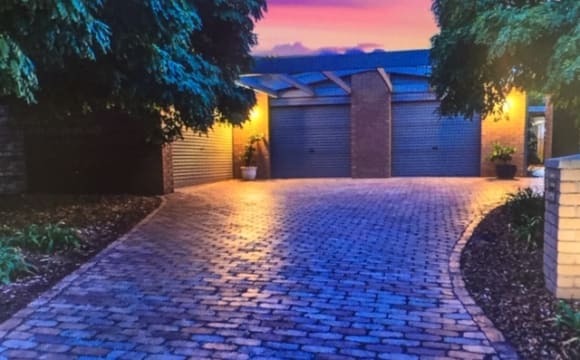 For extra storage, I can offer you the garage which is secure and practically empty. Your share of internet, electricity and water bills will only be one-third. Currently I've got a month-to-month ASDL2 contract, but NBN connection will be available from May (https://www.nbnco.com.au/residential/learn/rollout-map). Ceiling fan in all rooms for the summer. Ducted gas heating for winter. All utilities will be included in rent (gas, water, electricity) unless over exceed limit, internet and Netflixs. 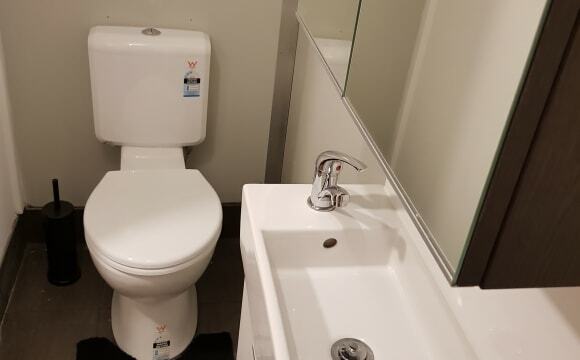 Spare bathroom and toilet with two others. Undercover barbecue area. Off street parking and on street parking. 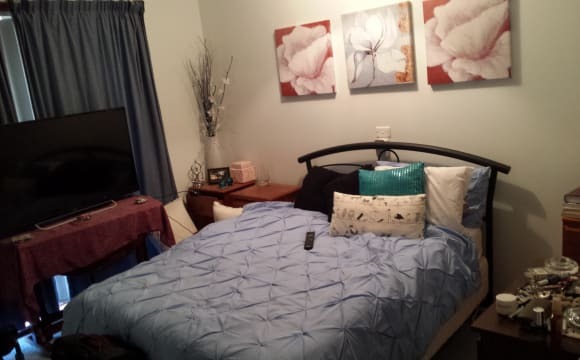 Only 15 min walk to local shops, IGA, Medical Centre, Chemist Hairdressers, takeaway. Public transport bus stop is 1minute walk. 6min to Tuggeranong/Greenway by bus. This house is a warm, loving home. It has two spacious living areas, outdoor spa, spare desk if required, large kitchen and is clean and tidy. Air conditioning and ducted heating are a must in Canberra. Also internet, Netflix and Stan for if you want electronic down-time. We usually use Ipads so our tv time won't be invasive. Refering to the floorplan, Bedroom 2 ($270) and 3 ($250) available. You would have your own access to the Family room (ie I won't be using that area at all) (we would hardly see each other in the house). Lock-up Garage (LUG). The house backs onto the Gilmore paddocks. We have only a neighbour on one side of the house. It is a very quiet location. 4 bedrooms available for rent in this 6 bedroom property. 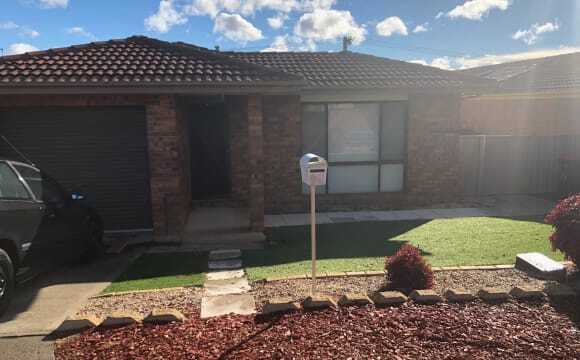 Available now 4 rooms for rent in this spacious and sunny home located in Theodore. The property is well kept with 3 living areas – One large rumpus room, one formal living room and a family room located near the kitchen. There is also a dining area to the right of the kitchen. These living areas are partly furnished but would welcome some additional furniture. The kitchen is modern and features a fridge, microwave and dishwasher. The property features ducted electric heating and reverse cycle units in some of the bedrooms. Off street parking is available. To inspect one of these rooms for rent please contact Fox PM Please note that pets are not permitted. A current EER for this property is not available. Bedroom 2 is a large bedroom with a RCAC unit. There is a built in robe. 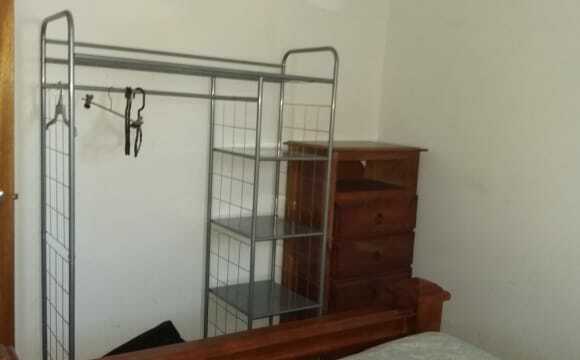 $300 per week including utilities (Gas, electricity, water and internet) This bedroom will have the use of the nearby bathroom (1) shared with another bedroom. Bedroom 3 features a RCAC and built in robe and will have the use of the nearby bathroom (2) $280 per week including utilities (Gas, electricity, water and internet) Bedroom 4 features a RCAC and built in robe and will have the use of the nearby bathroom (2). $280 per week including utilities (Gas, electricity, water and internet) There is one room of the property which is occupied by the owner. Spacious, modern home with stunning views--utilities, internet and fortnightly cleaning service included. We are looking for a new housemate for this quiet, newly remodelled home with stunning views. The house has a new kitchen and bathrooms, new carpets and tiling, spacious rooms with built in robes and a spa bath. It is centrally heated with evaporative cooling for the summertime. The bedroom is fully furnished. The kitchen and laundry are fully equipped with: washer, dryer, fridge, dishwasher, microwave, toaster, rice cooker, sandwich press and slow cooker among others. The living room has TV and blu-ray player. The yard has a large garden with a gas BBQ and three outdoor place settings--great for get-togethers. 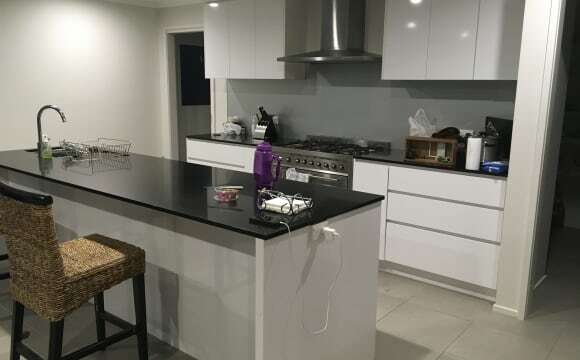 Rent is $200 per week which includes all utilities, fortnightly cleaning service and limited 4G Wi-Fi internet (we're scheduled to get NBN around July this year). Couples: If I have two rooms available, couples are welcome to apply. Rent for a couple is $200 per person for two rooms. Large, private house with views from the upstairs room that is being rented out. The area for rent is on the second floor and has a second room that serves as a lounge area. There is a small balcony with views of Tuggeranong. The bathroom is downstairs and is shared with the daughter. housemate is easy going. There is Netflix, air con, BBQ and the house is fully furnished. 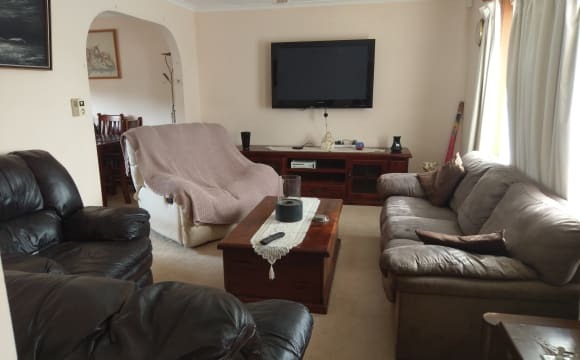 I will be updating pictures as there has been a big change in furniture.The communal areas have a dinning table couches and a flat screen TV and BBQ area the back yard is getting upgraded aswell . Bills are included with the rent as well as use of anything about the house in communal areas. The house rules are to clean up after yourself with house chores split between everyone and to make sure the dogs don't get out the front door. No drugs policy. Its close to a bus stop and a shop and not far from Tuggeranong shopping. We currently have available, two bedrooms in our large spacious house. 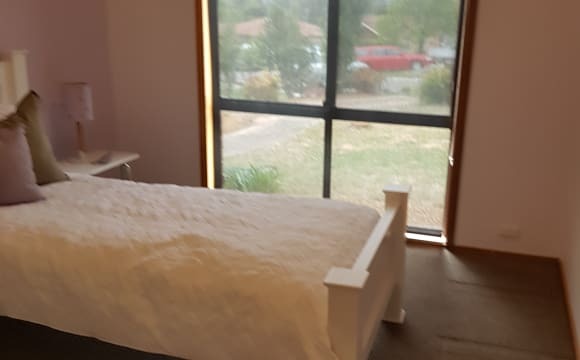 The larger room faces the front of our house, with views to nearby playing fields and the hills of Monash. It features a spacious floor-to-ceiling built in robe, additional smaller built-in robe, shoe storage unit and bedside tables. Option to use your own bed/furnishings if desired. Other bedroom is slightly smaller and looks out upon the side street of house. It also contains queen size bed, floor-to-ceiling built in robes, bedside tables, shoe storage unit. Option to use your own bed. A large, well-appointed bathroom and separate toilet is shared by three females only. Our house is modern, contemporary and cosy and was extensively renovated and enlarged, just two years ago. It features a large open space, combining lounge, dining and kitchen areas, with all amenities and appliances and large pantry, with adequate storage for each person. You will share a large fridge/freezer with two other females (owners having their own fridge/freezer). The laundry features a brand new washing machine. House exteriors were extensively renovated recently, with sensor lights and dedicated off-street parking areas. The backyard is completely secure with high fences. Rear of house features large covered courtyard and facilities for hanging laundry during wet weather. Backyard also features large, raised veggie garden and large barn shed, offering additional storage space. Erindale Shopping Centre is a 5 minute walk away or 1 minute by car. 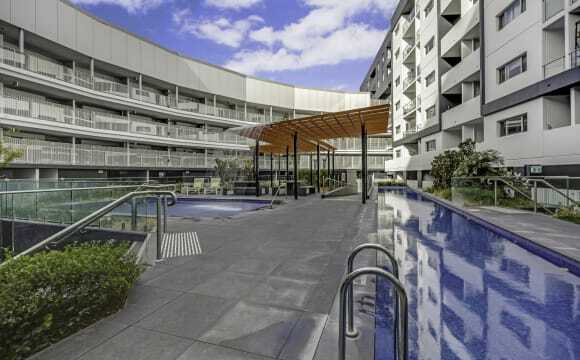 Bus stops to Woden and Tuggeranong are 2 minutes walk away or just 10 minutes by car. We have two well-mannered dogs, who sleep outside in kennels - Bella is 12 years and Charlie is 3 years. They are adorable and friendly. We are not adverse to having another dog on board but due to allergies, we cannot accept a cat living in the house. Larger room is available now and smaller room is available from 20 April. Please contact us to arrange an inspection and chat. It is very spacious and comfortable . Furnished . We are a friendly working couple , living ostaurs while the shared rooms are downstairs .